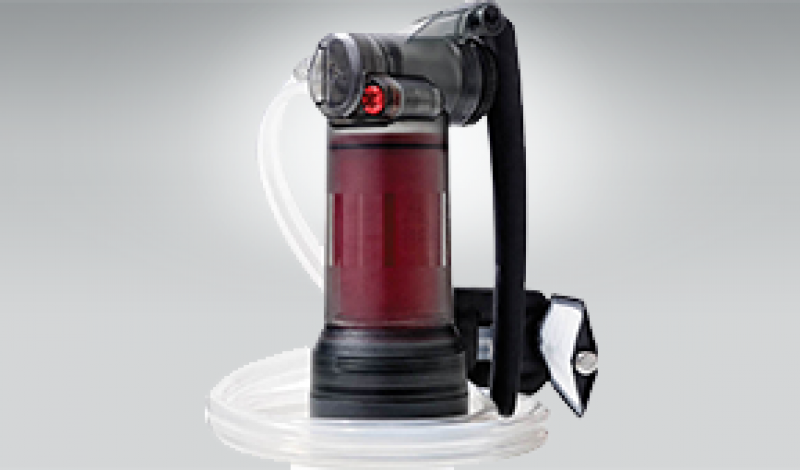 Billed as the “world’s most advanced water purifier” the MSR Guardian was built to military standards in terms of durability and effectiveness. The Guardian uses a specially developed filtering system that physically removes viruses, protozoa, bacteria, and particulates directly from the water, without the use of chemicals or UV lights. The system is reportedly quite fast too, filtering 2.5 liters of water per minute. That should certainly make it a hit with international travelers, outdoor enthusiasts, and emergency responders who need to work in the harshest of conditions. It is expected to sell for $349.95.